Home / blog / New Year, New School Supplies! New Year, New School Supplies! Hey Teachers & Directors – We’ve got everything here to start your New Year. 2018 is upon us and this is the year you are going be organized & prepared. Right? Right. 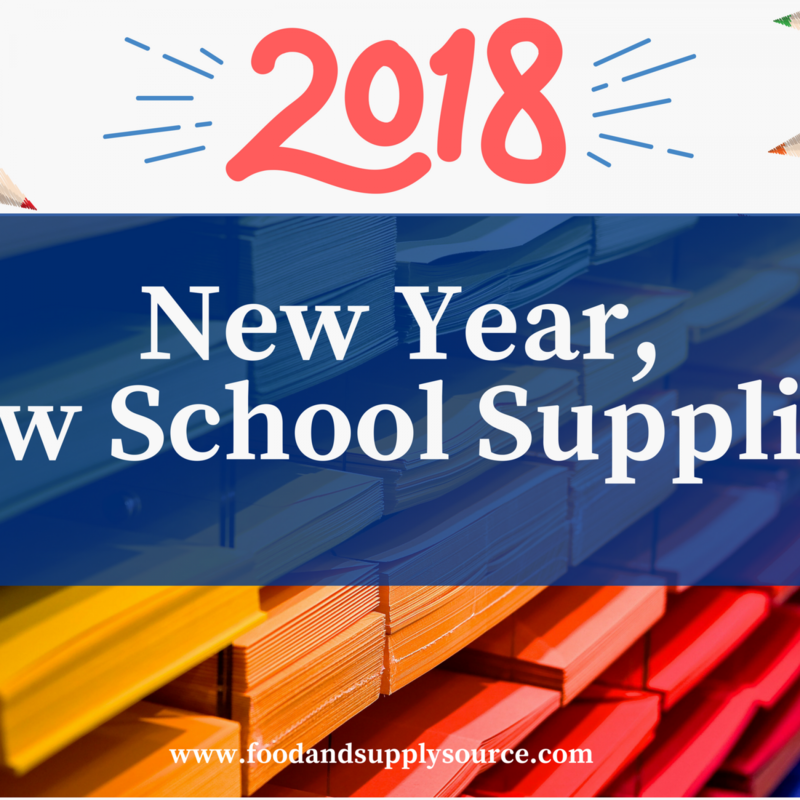 Once you read through our school supply list, you’ll have no fear and be saying “BRING IT ON” to the New Year. Getting kids enthusiastic and involved in the classroom is one of the chief goals of a teacher. Individual whiteboards can help you get kids on board with participating. Try individual whiteboards that are lined on one side with plain space on the other. They’re more efficient than using paper – and kids find them fun to use! If you’re going to use individual whiteboards, it goes without saying that you’ll need to stock up on dry-erase markers. 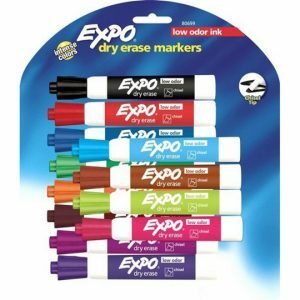 When it comes to dry-erase markers, stay away from the super cheap ones. In the end, they’re simply not worth it as they dry out far too quickly (especially with children who cannot always be relied upon to replace the caps!). 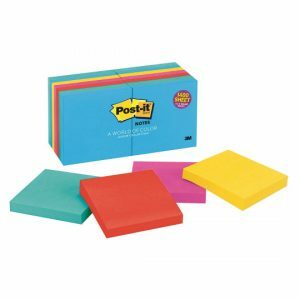 There’s a reason Post-it notes come in every color of the rainbow and almost every possible shape and size: Post-its are useful in a variety of ways. 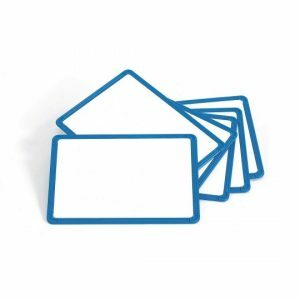 You use these little sticky notes to leave yourself helpful reminders, but you can also use them as name tags, labels, or in classroom activities to boost student participation. Even with all of the digital platforms available, many teachers still prefer a traditional, bound lesson planner to organize their day. 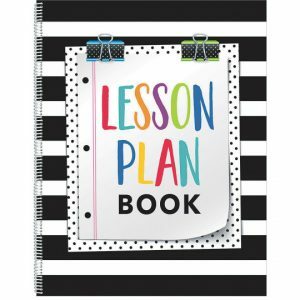 Take the time to select a lesson planner with a layout that works for you. Whether it is a traditional notebook, organized to your liking, or a calendar style planner for at a glance organization of your week, writing your plans down is a great way to organize and reinforce your objectives. Like the classic lesson planner, many teachers also favor an old-school gradebook to keep track of their students. 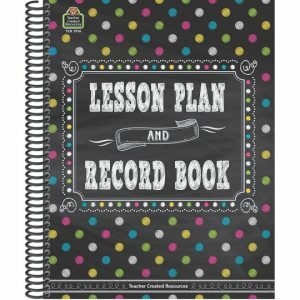 Use this book to monitor students’ attendance, daily participation, homework, test results, and any other notes you need. 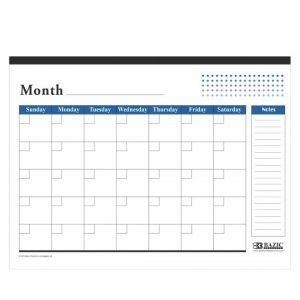 Even though you already have a lesson planner, you’ll also need a separate calendar to keep you organized throughout the school day. In fact, you might need several! In addition to your lesson planner, think about using a desk calendar. A desk calendar lets you get a quick look of the month-at-a-glance. You also may consider using a larger wall-calendar to hang up for students to see to keep track of their upcoming assignments and activities. 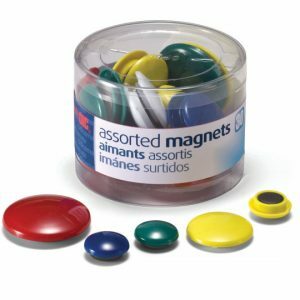 You might not think of stocking up on magnets for your classroom, but you should definitely add them to your supply list this season. Use magnets to hang up announcements, student work examples, or other papers you want to put on display on your whiteboard or chalkboard. When you’re stocking up on magnets, it’s also a good idea to consider a magnetic whiteboard (or chalkboard) storage pocket. 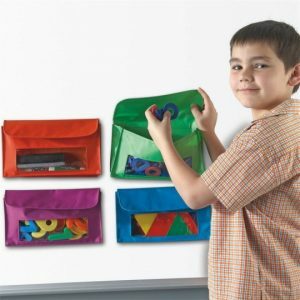 This nifty pouch hangs on your whiteboard or chalkboard so you can keep markers or chalk, rulers, pointers, and any other supplies you need right at hand while you’re in front of the classroom teaching. Plastic storage bins may not be the first thing you think of when crafting your teacher’s school supply list, but they’re a lot handier than you might think. 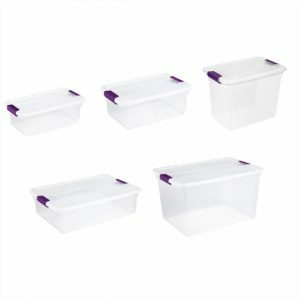 Use clear, plastic storage bins to keep your extra school supplies organized and tucked out of the way. 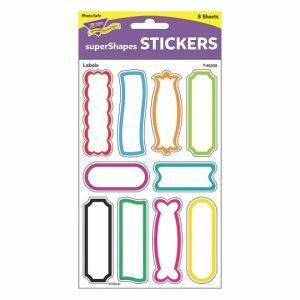 Stocking up on sticker labels is one classroom purchase that you won’t regret. With all of the cubbies, desks, and shelves in your classroom, you’re going to need some labels to keep everything organized. In your classroom, you need to organize, not only your own paperwork, but those of your students as well. 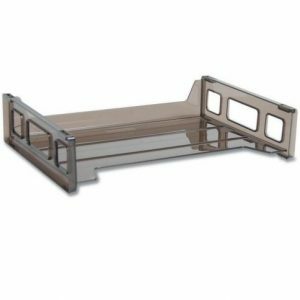 To avoid a mess of papers piling up on your desk, invest in some plastic stacking trays. Then, use your sticker labels to organize students’ incoming and outgoing papers, assignments, and other notes. The Wifi in classrooms can be unpredictable at times. If you find that you can’t always rely on the cloud to retrieve documents whenever you need them, keep a few USB drives on hand. This way, you can easily transport digital documents as needed, with worrying about a temperamental Wifi connection. There are a lot of nifty products that you can bring into your classroom to help make this school year more efficient. But don’t forget about the basic school supplies you need too. Stock up on pencils, pens, highlighters, tape, glue, staples, paper clips, rubber bands, and the like. Then, keep this stash tucked away in your drawer. This way, when you think that you’ve run out, you’ve got yourself covered! Shop & Save Right Here! At Food and Supply Source, we work with the best wholesale vendors to help you find the products you need at a convenient price. We offer discounts on over 10 categories of supplies and services – food, milk, janitorial supplies, office supplies, educational items, medical supplies, child care center insurance, + much more! Typical savings are 10-35%. 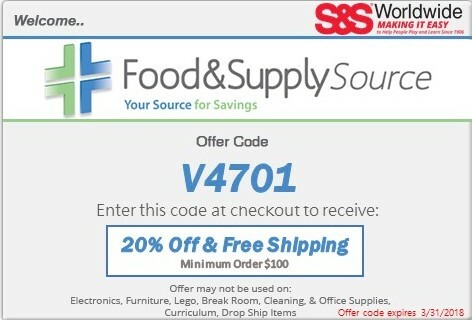 Becoming a Food & Supply Source member is FREE. To learn more, click here to see how our supplies and services network works. Our suppliers and the full list of categories that we offer are on our website: Click for Food & Supply Source Suppliers and Categories.